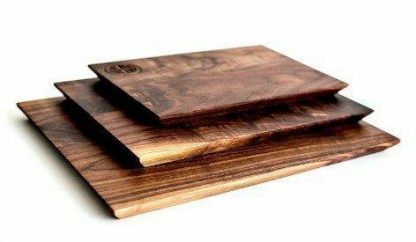 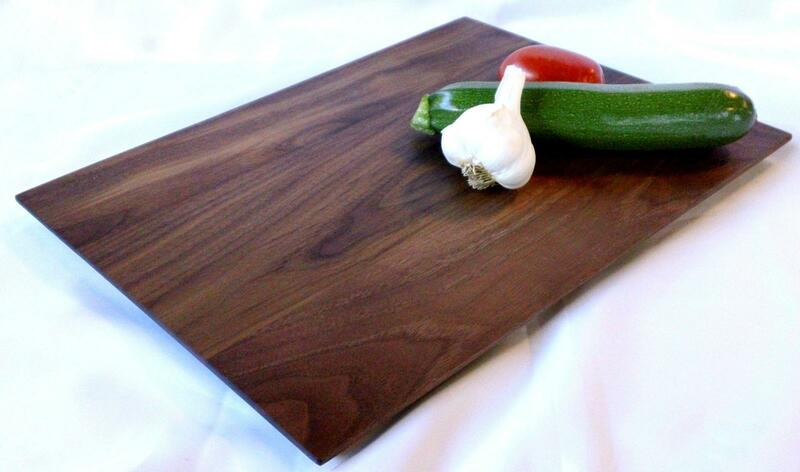 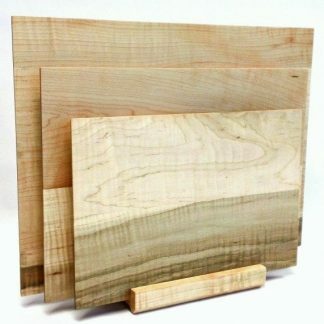 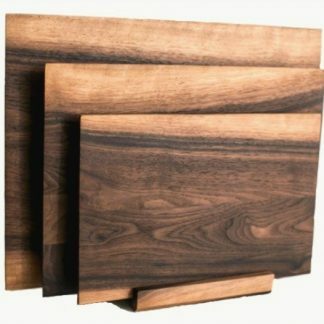 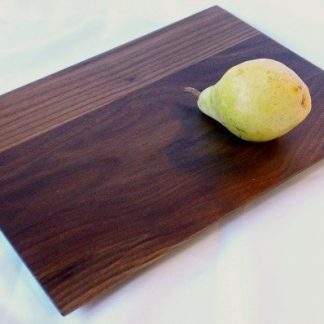 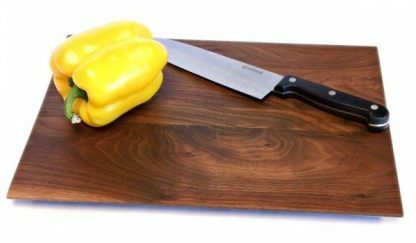 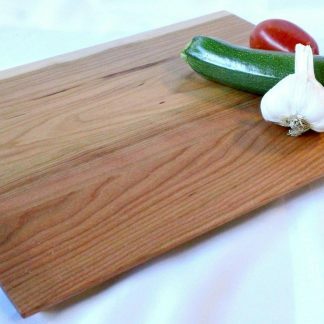 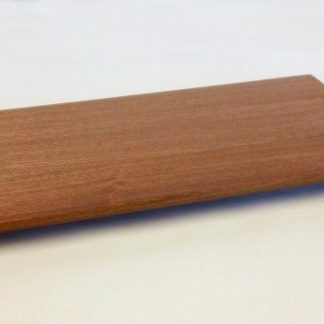 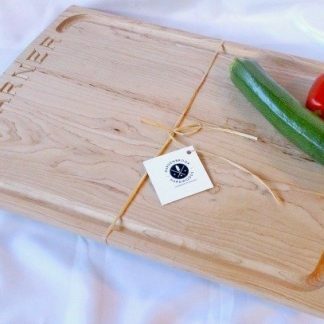 Our 12″ x 16″ walnut veggie board is the perfect size for chopping veggies. 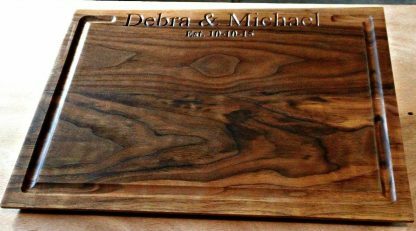 Your choice of engraving on the back. 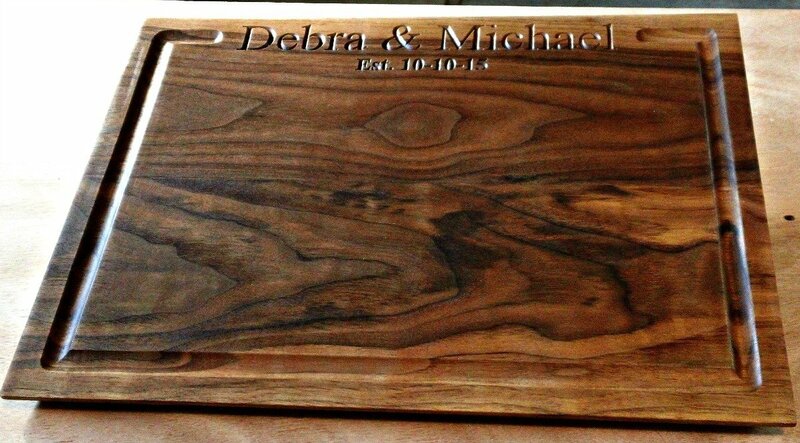 It is finished with a blend of mineral oil and beeswax. 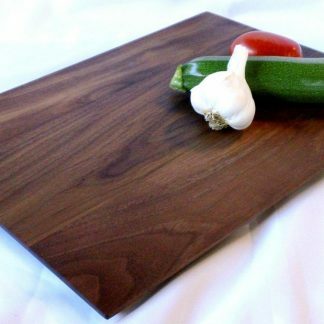 Our (12″ x 16″) Walnut Veggie board is the perfect size for chopping veggies. 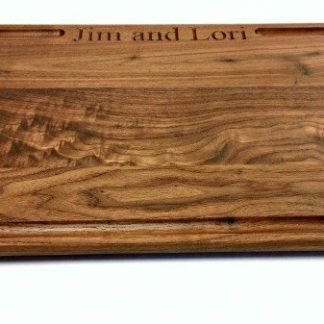 3/4″ thick with beveled edges and your choice of engraving on the back. Finished with a blend of mineral oil and beeswax and non-skid rubber feet.